Our hands-on approach and Team Model deliver masterful IT infrastructure. We can act as your IT experts or work in tandem with your existing internal IT team. Your dedicated River Run team gets to know you, your business, and your preferences, delivering IT support your way. 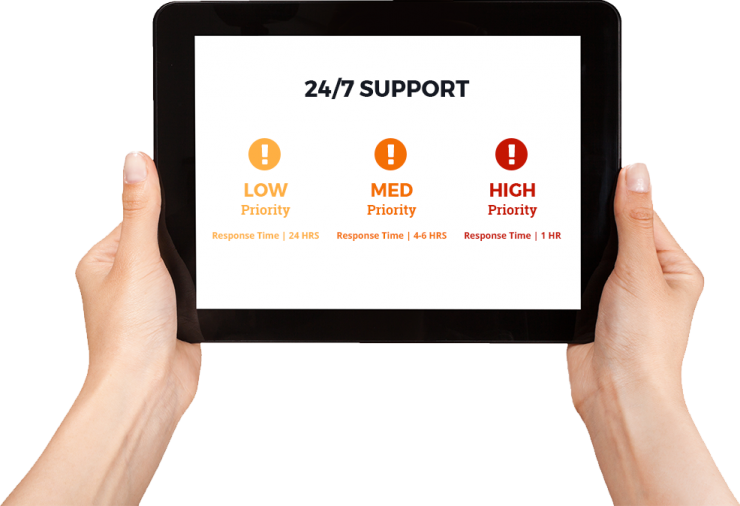 When an emergency arises, we are responsive 24/7, enabling you to focus on what you do best. Learn how we master technology and help improve your speed. A preventive approach to maintaining your computer network ensures issues are addressed before they become problematic. Your dedicated team ensures consistency, in both the IT pros you work with and in the level of knowledge and service you receive. A customized network management program, including critical maintenance and security reviews keep your business up and running. A full-service managed IT program that combines all maintenance, security, and backup solutions under one easy-to-understand agreement. Our proprietary cloud network helps increase network speed, agility, and security. Protecting your data for total peace of mind and business continuity. Protecting you from viruses, spam, hacks, malware, and other threats to your data’s integrity. An in-depth process to provide a complete picture of your IT infrastructure and its unique needs. Talk to our friendly and helpful team for all your company's IT needs.